I thought I was just visiting colleague/archivist Deborah Wythe to discuss my on-going work on the Nancy Holt Archives, but then I stumbled into a familiar rabbit hole…. There is something indistinguishable about that very silent corner of the Brooklyn Museum, where with a single turn, one is set adrift into the darkened hallways surrounding the museum’s Decorative Arts/Period Rooms. It may take a year or two, but undoubtedly, no matter what show I come back to see, the siren’s song of those quarters lures me back into the surrounding passageways in that corner of the museum — and again, I am yanked away from time. 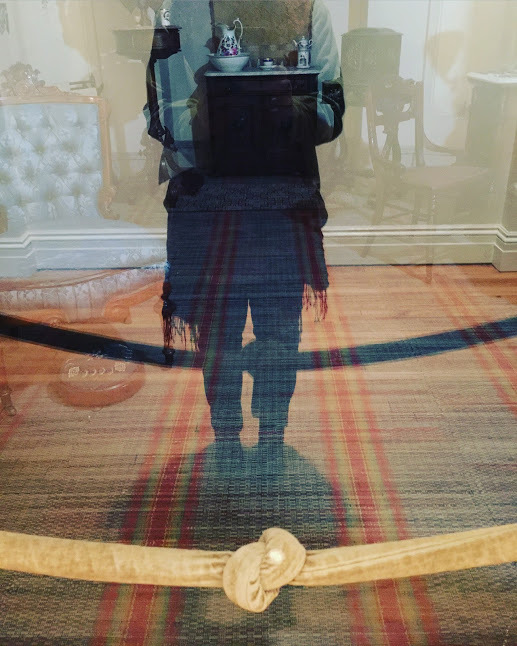 Standing before each mise en scene, staring at my own reflection projected onto the space before me, I lull myself into a new chapter describing what has occurred just moments before my arrival. These rooms serve as my psychic dollhouse. 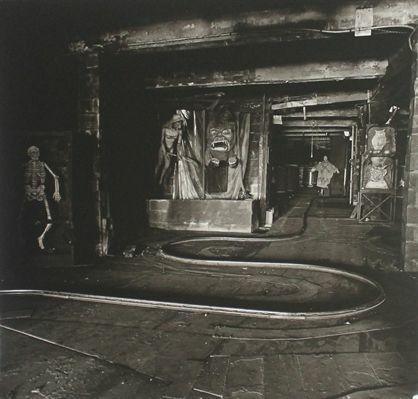 And not unlike the 1961 Diane Arbus print, The House of Horrors, 1961 currently hanging in the Museum’s Coney Island exhibition – this self-induced ride haunts me too, in its own endearing way. An unsettling journey of my own thought-making. Please do not dismantle these curiosities. and provide a respite from the hobgoblins of my busy little mind. And P.S. to that Museum Director missive: isn’t this a perfect artist/archivist in residence project, to activate the period rooms in a totally new way? Thank you Charchivist for the information about the mystery of Brooklyn museum. Planning to visit New York later this year, I would like to explore this place.